What do you do when you have a pretty pile of Fat Quarters arrive in the mail and you realize that you don't have to make mama cloth out of them? That was just my dilemma this past couple of weeks. So gorgeous and perfect for making pretty mama cloth for the shop. But now that I've decided to close the shop and focus my attention in a new direction, I have the fabric free to make any number of new projects. 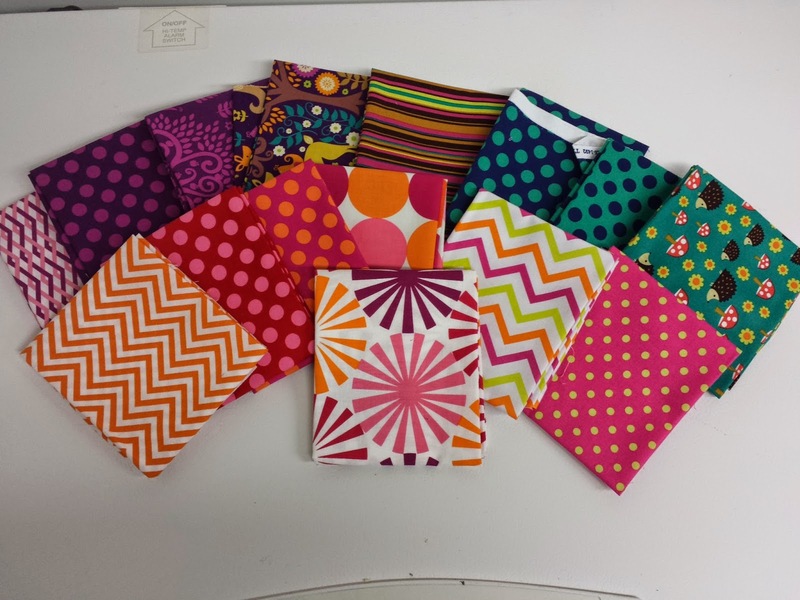 I chose a few of these fabrics to give away to lucky Sew Mama Sew Giveaway Week winners. Easy, breezy, colourful, fun, summery pants! Pants are kinda boring as I've stated many times before. I need a way to jazz them up. And since I might be working in an office later on this year, I realized that now is the last chance I'll have to wear whatever I like all day long. Might as well have fun and wear my style! These red and green ones are my fave. I used some knit from my fabric stash for the tops of both pairs. 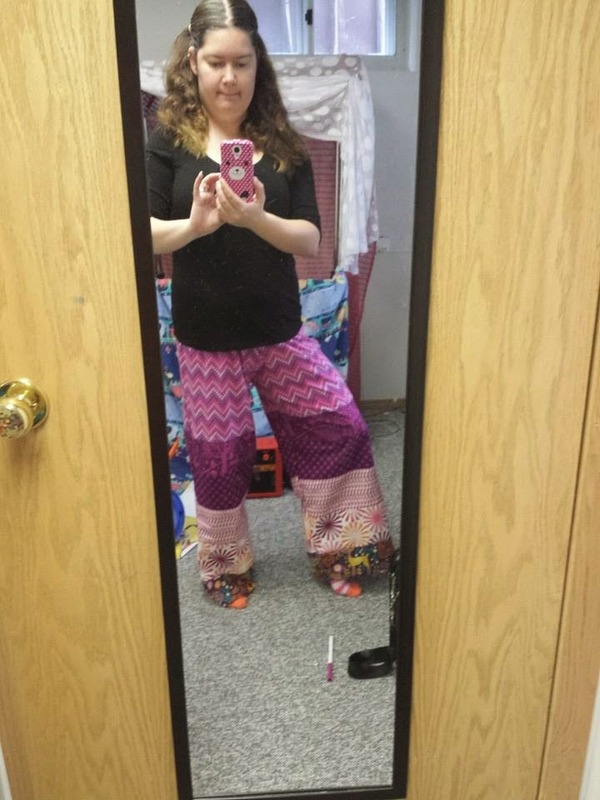 I find they hang better and fit better around the waist (that is no waist in my case) if made in knit. The bottom are the fat quarters sewn together to make a striped patchwork kinda deal. The green and red ones I made with a wider leg and feel really breezy and nice to wear while dropping the kids off at school, walking to story time, getting a few groceries, etc. All the mommy things that I'll be doing this summer. 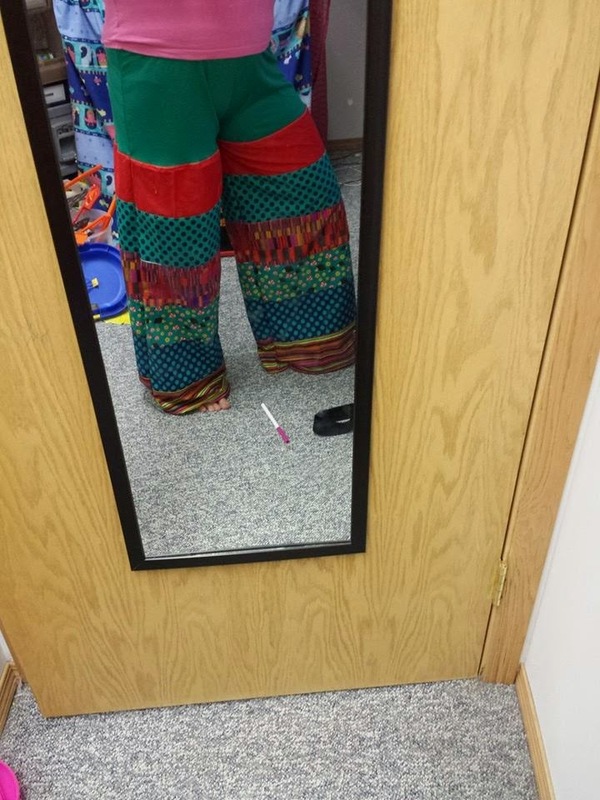 I'm sure these pants will be awesome while camping in the evenings when it gets a bit cooler outside and longer pants are needed. Hahaha. If anything he knows that will make me wear them more. So that must be his end game. I'm going with that.